Next year will be a great one for Disney movies. We have this one, Dumbo, Aladdin and The Lion King, among others. I'm super excited for this one. Infinity War was an awesome movie, though I'm super sad for the deaths of certain characters. I still hope they will be brought back in the fourth one. Oh, well. Que sera sera. 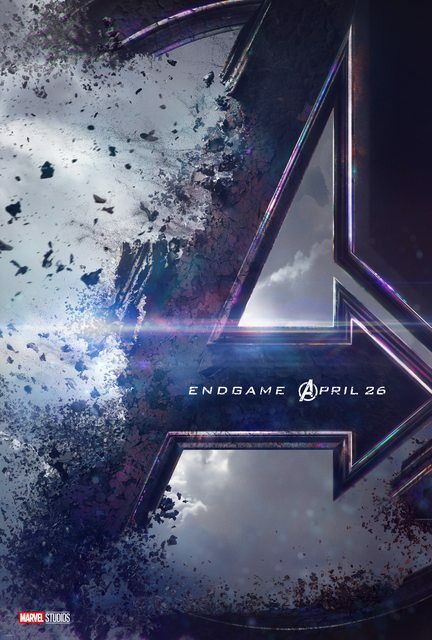 I was personally hoping for Avengers: Disassembled to be the title but I suppose Endgame likely suits the plot better. Hah! As if we'll ever see Wanda Maximoff going nuts and killing half the team. Didn't the directors say they couldn't reveal the title until more people had gotten a chance to see Infinity War because it was spoilery? This title doesn't seem spoilery to me. The directors also claimed that the title for Avengers 4 wouldn't be in Avengers: Infinity War but they do say end game in Infinity War. It's possible that this title is just a placeholder that Marvel is fake pushing until the real one actually comes out. I heard rumors that they weren't planning on revealing the real title until January or something so who knows. I hope we never have to see that considering that Wanda is one of my fav characters. Although with the X-Men coming soon, I've heard people predicting a House of M film for an Avengers/X-Men crossover to bring mutants into the MCU. I saw Infinity War just a couple of weeks ago, and I have to say--speaking as a casual fan of all these superhero franchises / stories--it was sooo good. I really didn't expect to like the movie at all. I can't wait to see how they resolve everything. The teaser poster and teaser trailer have been released! "Endgame" is a lame title. Agreed. Totally mundane and uninspired. I always thought the titles should reflect the fact Avengers 3 and 4 were a two-part film. So something like Infinity War/Infinity Gauntlet or Infinity War/Eternity War. It's a title that some fans have speculated... I didn't think it would be the actual title. I don't like it either. But Infinity War is a top 5 MCU movie for me and my favorite Avengers film, so I'm really looking forward to this! I like the title myself. Nice little throwback to a line of dialog of Starks from Age of Ultron. "Recall that? A hostile alien army came charging through a hole in space. We're standing three hundred feet below it. We're the Avengers. We can bust arms dealers all the live long day, but, that up there? That's... that's the end game. How were you guys planning on beating that?" I'm not the biggest fan of the title either. I liked how previous Avengers films took names from the comics. On top of that, as a Pretty Little Liars fan, when I hear the word "endgame," I keep flashing back to how many times they would repeat this word in the final season to remind viewers that the show was ending and all the mysteries would be solved. It was comical how often they shoehorned the word in. The teaser has become the most-viewed movie trailer in 24 hours ever! To the greatest fans in the world, thank you for being there from the beginning til the endgame and making Marvel Studios’ Avengers: Endgame the most viewed trailer in history with 289M views in 24 hours! Yeah. I knew even if TLK had broken the record that this would've broken it yet again. Strange actually says it as well in Infinity War, which I suspect is where most of the rumour for the title came from. I'm not the biggest fan of the title either. I liked how previous Avengers films took names from the comics. There have been comics called Endagame or something to that effect though I'm not sure whether the film will borrow any elements from those stories. Those are more generic titles for individual issues or small storyarcs and pretty much no one would remember their being called that. Most of the previous Marvel titles, at least for the Cap and Avengers films, (Age of Ultron, Civil War, Infinity War, The Winter Soldier) were all based off of major Marvel events.